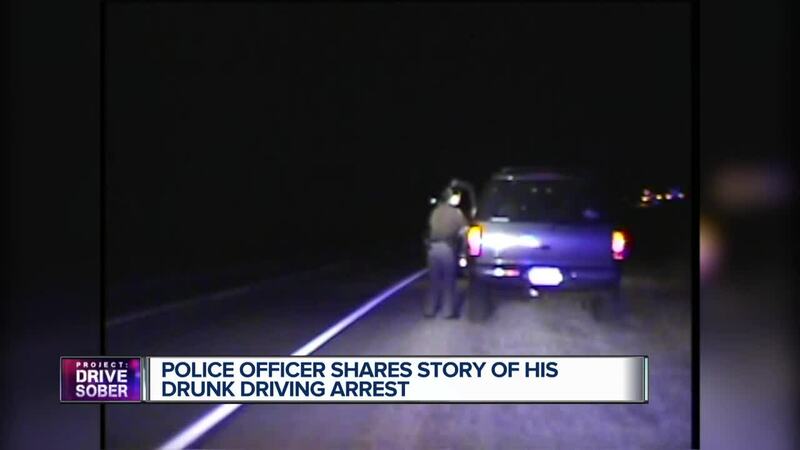 A Milwaukee Police officer rose through the ranks, after he was caught driving drunk with his daughter in the car. Captain John Corbett is now counseling officers struggling with substance abuse. Editor's note: Find a list of treatment options for people struggling with substance abuse here. "Don't judge me on what happened eight years ago, judge me on what I've done throughout this past eight years," Corbett said. It's his job to hold law breakers accountable, but eight years ago Captain Corbett was the one in handcuffs. "It's just a sinking feeling," Corbett said. Corbett was a sergeant with the Milwaukee Police Department the night he was caught driving drunk with his 13-year-old in the car. "I'm in the squad car, I'm in handcuffs and I'm realizing. I can't believe I did this to my daughter. It was just an overwhelming rush as a father. I mean what kind of person am I," he said. In 2010, deputies arrested Corbett for OWI. He was on his way home from deer hunting in Manitowoc with three others, including his daughter who actually drove part of the way. Corbett was pulled over in Fond du Lac County. The criminal complaint said Corbett "had slurred speech" and "red glossy eyes." His blood alcohol was .18, more than double the legal limit. As a first time OWI offender with a child in the car, Corbett was sentenced to 30 days in jail. He didn't have a license for more than a year and was required to use a ignition interlock for 15 months. Corbett was suspended from work without pay for 60 days. Should Wisconsin Raise Smoking Age To 21? An alcohol therapist diagnosed Corbett as a binge drinker. His last drink was the night he was arrested. "I just wanted to be clear to my family and to my kids that there's never gonna be a gray area. You know, is dad drinking too much today or are we going to be back in this position again," he said. Shortly after his incident, MPD started an alcohol awareness initiative for officers with a focus on substance abuse. Corbett got involved by talking about his journey with alcohol during roll calls. "In law enforcement it just seems it's one of those secrets that no one wants to talk about," he said. He eventually shared his story with the entire department. "And then that kind of steamrolled into just officers reaching out to me asking for help," he said. Corbett had been sober for more than eight years. In 2016 he was promoted to lieutenant and just last month became a captain. "You can do so many things right and are judged by a choice you made one day and it lasts a lifetime," he said. On top of counseling officers, he works with the sensitive crimes division. "You make a choice to drink, you make a choice to drink and drive and you can make a choice to get help and to get treatment," he said. Corbett talks to his kids about choices, including his now 21-year-old daughter, who witnessed her dad's arrest. Corbett knows he made the wrong choice all those years ago. "I can admit yes, I shouldn't have been driving. But said he doesn't regret that night. "I don't cause I wouldn't be here today if I didn't have that night in my life. As horrible as a night as it was and how life changing and how it impacted my family I don't regret that night cause I wouldn't be the man I am today without that night," he said. Corbett hopes to counsel officers and first responders with other agencies. He's also pushing to see more programs focusing on groups at risk of alcohol abuse.